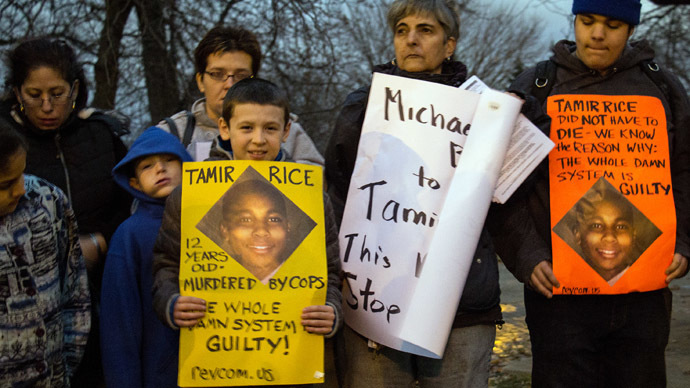 Attorneys for Cleveland, Ohio allege in a new court filing that Tamir Rice, the 12-year-old boy fatally shot by local police last November, was responsible for his own death. The response was filed on Friday by the city in the United States District Court for the Northern District of Ohio, barely a month after Rice family attorneys entered a 71-page complaint against Cleveland and the two police officers involved in the boy’s death late last year. 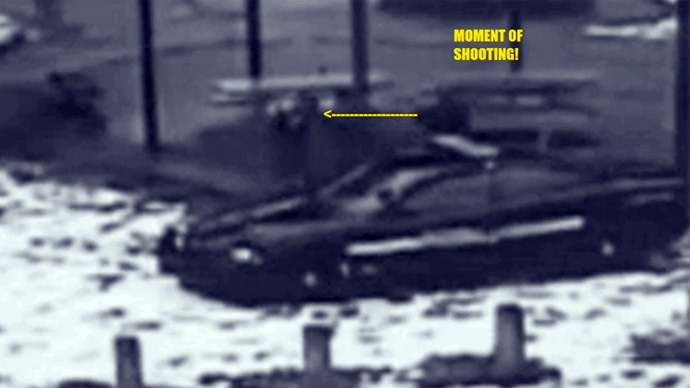 Cleveland Police Department Officers, Timothy Loehmann and Frank Garmback, responded to reports of a person with a gun at an area park on November 22, 2014 and, within two seconds of exiting the cruiser, Loehmann fired two shots at Rice, striking him once in the abdomen and killing him. The release of the 911 tape later revealed the caller said he thought the gun was being brandished by a juvenile and was “probably" fake. Video footage taken from a surveillance camera close to the scene of the shooting showed that Rice lay bleeding on the ground for nearly four minutes before being administered first aid. His 14-year-old sister is also seen running towards his side in the recording, but she is intercepted and tackled by Officer Garmback in the process, then handcuffed and hauled off to a nearby cop car. Attorneys for the Rice family wrote last month that Loehmann should not have been hired by the Cleveland Police on account of being dismissed previously from a smaller department, and that the two cops “stood around and did not appear concerned” after shooting the boy. Rice’s death was “directly and proximately caused by [his] failure to exercise due care to avoid injury,” city attorneys said in the latest filing. Walter Madison, an attorney for the Rice family, told the Cleveland Plain Dealer on Friday that he still believes "that there's merit in our complaint,” notwithstanding the city’s response. 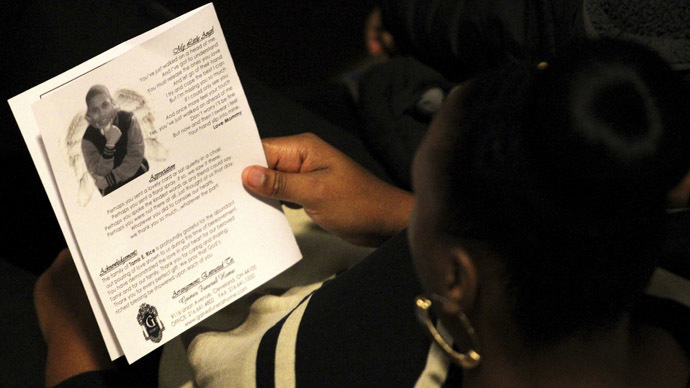 "I do believe that a 12-year-old child died unnecessarily at the hands of Cleveland police officers and I do believe that certain officers shouldn't have been entitled to wear the uniform,” Madison told the newspaper. 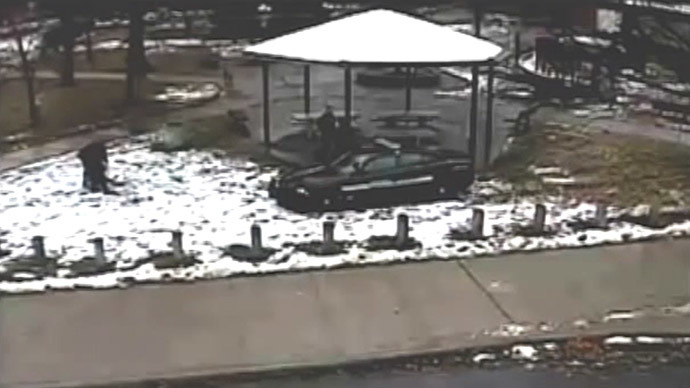 Meanwhile, the Cuyahoga County Sheriff's Department remains entangled in an investigation that is yet to determine whether either officer will be charged. In December, US Attorney General Eric Holder traveled to Cleveland to announce the Department of Justice had uncovered evidence of roughly 600 examples of “systematic deficiencies,” “inadequate training” and “ineffective policies” within the city’s police department between 2010 and 2013.